Money doesn’t have to be confusing, emotional and intimidating. Instead, money should be welcoming, friendly and FUN! 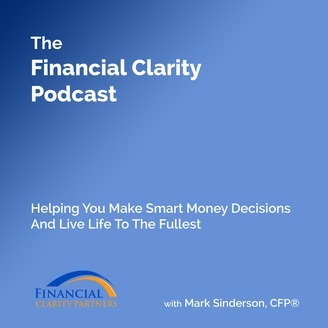 Everyone deserves access to quality financial planning advice and the Financial Clarity Podcast is here to help you get the most from your money both today and tomorrow while having fun and enjoying life all along the way. Remember that money is just a tool. Everyone is unique and how we approach and use money should fit with who we are as individuals. In each episode, Mark will help you increase your knowledge and comfort level with money. He’ll break down many of the false beliefs and misinformation about money. He’ll also help you change your behavior towards money,build strong money habits and use money to live your values, meet your obligations and achieve your dreams. 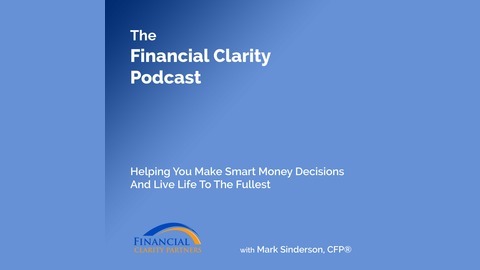 Head on over to financialclaritypartners.com to find out more about Mark and how he helps people get more out of life through affordable and understandable financial planning services.